These little cuties wandered out from under a tree yesterday. 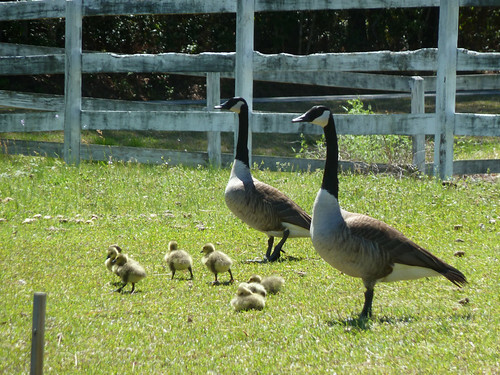 We spend all year trying to discourage the geese from living at our pond, but we can't deny how cute the goslings are! aaaw they're cute,why don't you want them in the pond? Oh my goodness! That's cuteness overload!